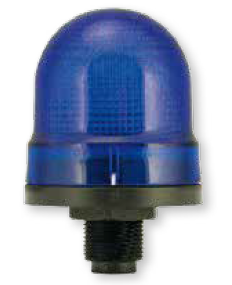 Springer Controls offers a variety of dome signaling lamps and audible units to suit your signaling requirements. 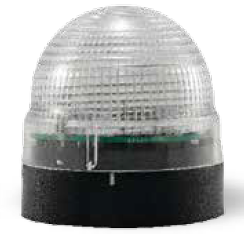 All dome lamps feature polycarbonate construction and utilize long lasting ultra-bright LEDs. Input voltages of 12VDC, 24VDC, 115VAC, or 230VAC are available with a huge array of light sizes, colors and mounting options, including pole mounts, wall mounts, junction boxes and panel mounts. 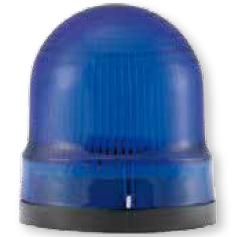 The series 185 is a pre-assembled, base mount dome light designed to be attached to a flat surface using screws. It is IP65 (NEMA 4) rated and comes with an anti-tampering block so it is suitable for outdoor installations. Small enough to fit anywhere, but bright enough to provide clear signaling even in direct sunlight. 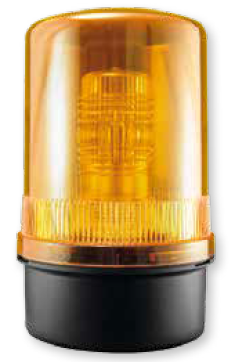 The series 183 dome light is a complete unit designed for panel mount through a 22mm hole. The 183 features an IP65 rating (NEMA 4) and an anti-tampering block as standard, so it is suitable for outdoor installations. It's small enough to fit on most control panels, but large enough and bright enough to provide clear signaling even in direct sunlight. The 600 series of beacons are the big boss of the beacon lamp world. At 6" across and 8" tall with ultra-bright LEDs these lights are sure to get the attention of anyone in the area. 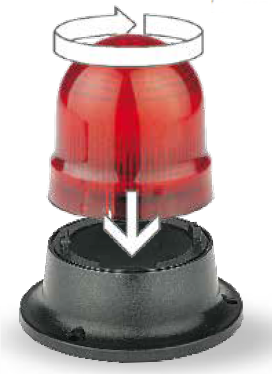 The 600 series can be supplied as a static light, a flashing beacon or a rotating beacon.